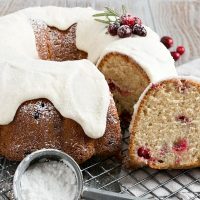 Easy and festive, this Snow Capped Cranberry Bundt Cake is light and moist, filled with cranberries and warm spices. 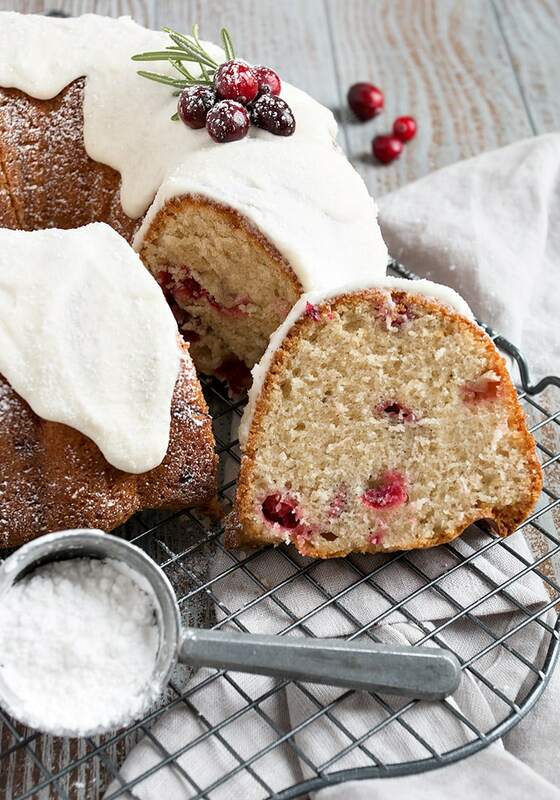 A funny thing happened on the way to a simple cranberry bundt cake. This past weekend I discovered a bag of fresh cranberries in the fridge, so I decided I’d bake up a simple cranberry bundt cake. And while I was baking, the snow started. And it kept snowing. And by the time my cranberry bundt cake came out of the oven, it was a bit of a Winter wonderland out my window. And while it’s definitely more festive, it was honestly not a lot of extra work. 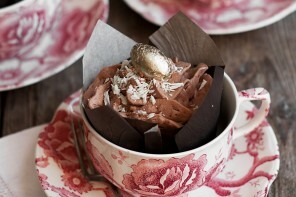 Simply mix up a bit of icing once the cake has cooled, spoon it on top then spread here and there with a spoon. 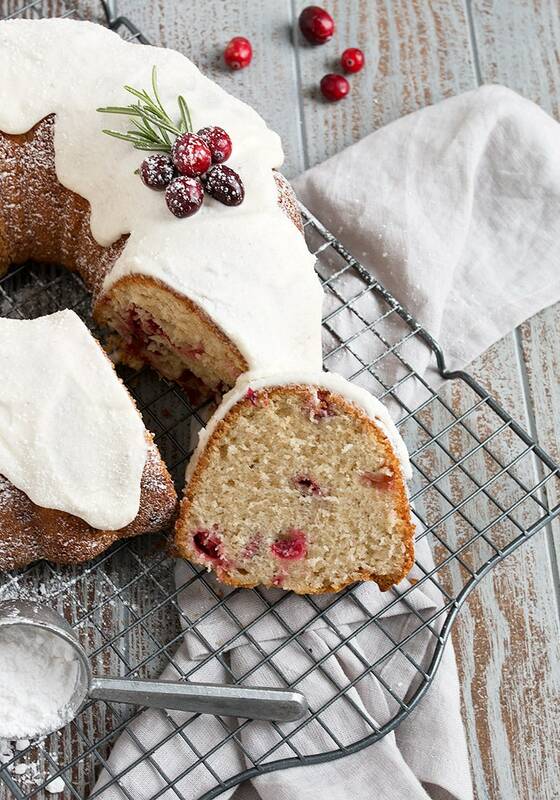 Add a few cranberries and a sprig of rosemary and a final dusting of icing sugar, for an easy, festive and delicious cake. And speaking of the cake, the tart, fresh cranberries combine with a lovely light cake, with a generous splash of vanilla and a sprinkling of warm, Winter spices. Lightly sweet, this cake would be at home on the Brunch table or for a dessert. When it comes to the cranberries for this cake, you can use fresh or frozen. If you can’t get your hands on either of those, dried cranberries would work, though it would result in an overall sweeter cake. 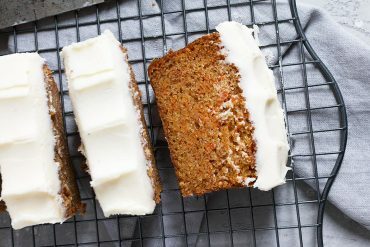 The icing is essentially just a light buttercream (light on the butter) that is mixed to just a tad thinner than you would use to frost a cake. Spoon it in a ring on top, then use the back of a spoon to push it in “big drips” (or snow drifts :) over the edges a bit. This cake sat on my counter not very well covered for several days and held its own really well. It would also freeze well if you wanted to make it ahead. Lovely light cake, flavoured with lots of vanilla and some warm spices and studded with fresh (or frozen) cranberries. 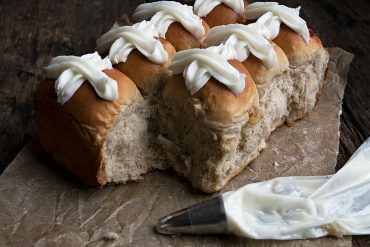 Topped with an easy, but pretty icing. Preheat oven to 350F. Grease a 10-inch bundt pan and set aside. Beat egg whites until frothy (until they look like a bubble bath :). Add the sugar, egg yolks, oil and vanilla. 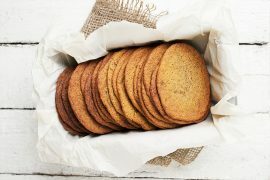 In a separate bowl, whisk together the flour, baking powder and spices. Add the dry ingredients to the wet, alternating with the milk. Fold in the floured cranberries. Pour batter into prepared pan. Bake in preheated 350F oven for about 1 hour, or until a tester inserted in the centre of the cake comes out clean. 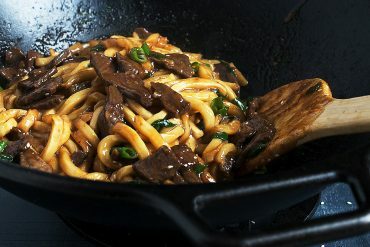 Remove from oven and allow to mostly cool in the pan, before turning out onto a plate. 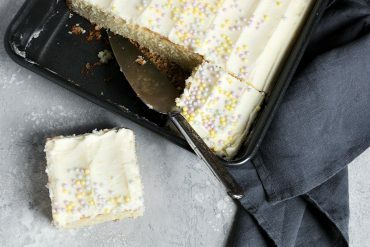 For the icing: Once the cake is completely cooled, combine the icing ingredients with enough milk to make an icing just a tiny bit thinner than a regular cake icing. Spoon in a ring on the top of the cake then using the back of a spoon, push "drips" of icing over the edge of the cake here and there. 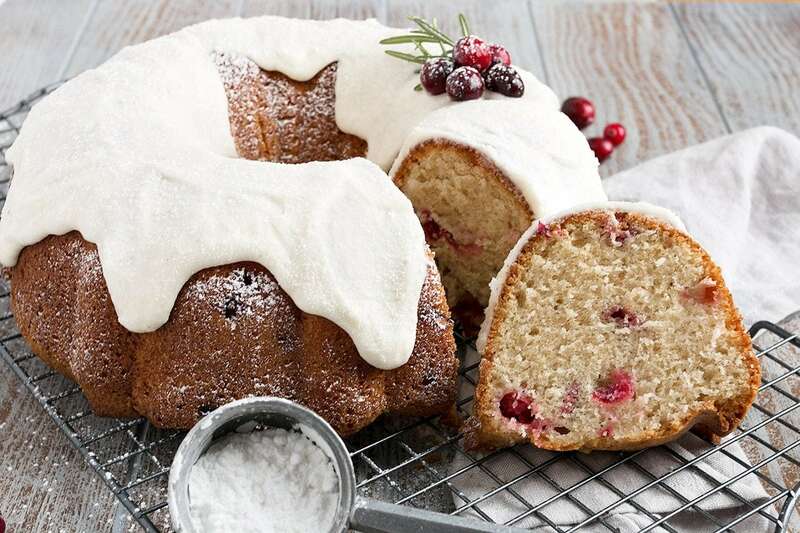 If desired, place 4 or 5 fresh cranberries with a sprig of rosemary on top, then dust the entire cake with icing sugar. Beautiful cake! 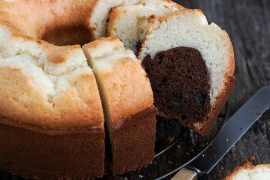 About what size bundt cake pan did you use (e.g. 8.5 inch, 10 inch)? Hi Meg, it’s a 10-cup, which is 9 x 2 1/2 inches. 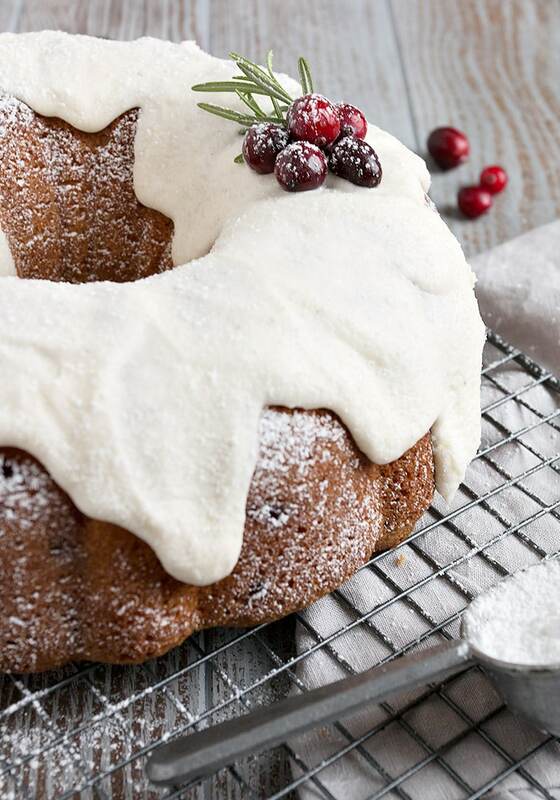 I absolutely love the winter wonderland look of this cranberry bundt cake. It’s gorgeous and so perfect for the holiday season! I love the name! And the cake looks so moist and tender. I am a bit jealous that you’ve already had a big snow! Thanks Chris :) And yes, the snow has come early this year! Could you use half applesause and half oil rather than all oil? So beautiful and festive, I love the snowy topping! 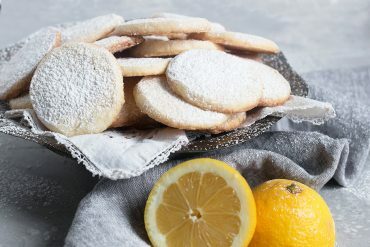 Serve this with coffee during the holidays and it will definitely steal the show:) Absolutely love it! Pinned! Another WINNER for my holiday baking list Jennifer! 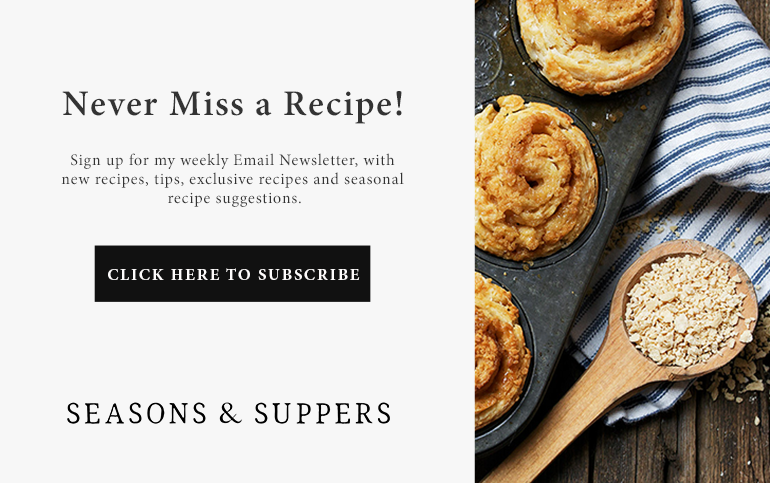 I love the warm spices and all the cranberries! And it looks so pretty! This lovely cake looks perfect for the season! Love that thick icing and the dusting of powdered sugar really makes it look like snow. You know we adore fresh cranberries – and all those wonderful, warm spices. PINNED! Thanks Tricia :) I never tire of baking with cranberries. Love the tart/sweet thing!